The room on offer is downstairs, approx. 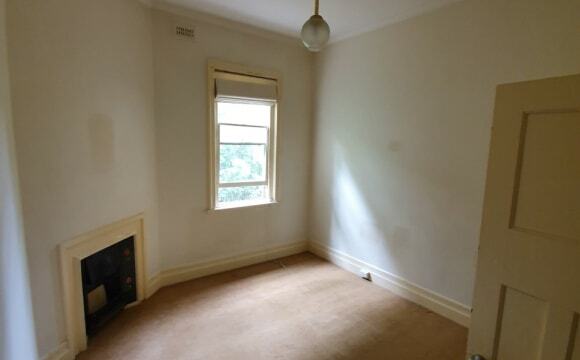 3.4x4m with built-in robe, $800PCM and unfurnished. The house is a split level with a backyard (and BBQ), located in Hawthorn near Scotch College, with a driveway that can easily fit two cars and plenty of unrestricted street parking. There are trams, buses and train station are a 5-10 min walk. It's fully furnished in communal areas, but plenty of scope for you to bring your own furniture. We're looking for someone who is mid-late 20s, has a stable income, easy going and looking for a long term stay (e.g. 12 months or more). Unfortunately we can't have couples, smokers or any pets. Bills: utilities and internet costs are split four ways, usually about $250 per quarter, and bond is $975 transferred to outgoing housemate. Walking distance to tram 72, 75, 16, Kooyong train station and the beautiful Fairview Park. The apartment is fantastic with three large bedrooms, big kitchen with dishwasher, dining room and living space, with 1.5 bathrooms, air conditioning and heating, separate laundry and a cute backyard shared with three other apartments. The lounge room is pretty well furnished, but if you have a washing machine, fridge, vacuum cleaner and dinning room table that would be amazing! $218 per week (including internet) plus bond $1067 and other bills. First month's rent and bond due before the 23rd of April. 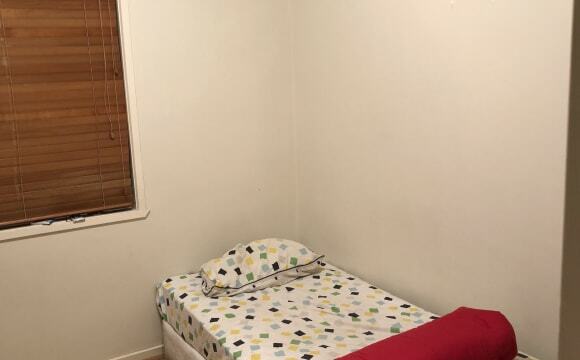 The room available will be unfurnished, has a big built in wardrobe, enough room to fit a queen bed (size pictured), bedside tables, desk and more! Hello Guys! 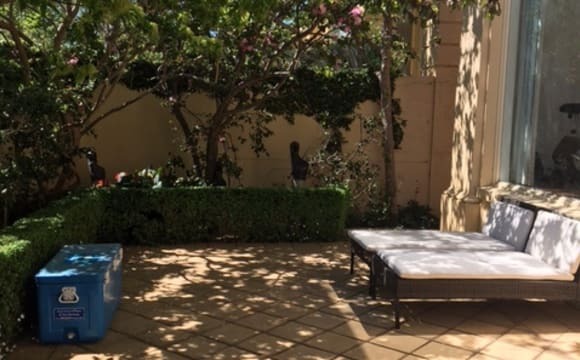 A shared room in my lovely Toorak Apartment has become available and looking for someone to move in from the 27th of April 2019. Recently decided to move in with my boyfriend and rent out my beautiful apartment as now I work far away from the city and I'm travelling a lot for work. I'm renting out as I'm still paying a huge mortgage and i would like someone that looks after the place and items in it. Info about the apartment: 1 shared bedroom available in a Spacious 2 Bedroom TOORAK apartment. The place is in Prime location, close to Chapel St, only a few blocks away from Toorak village with public transport just at the step door. The room has a built in robe and is completly furnished, same as the rest of the flat (fully furnished). The place is clean and tidy on Toorak rd and Orong rd close to all the popular spots in Toorak and chapel st with plenty of cafes and Pharmacy, Aldi, Coles and Woolies. 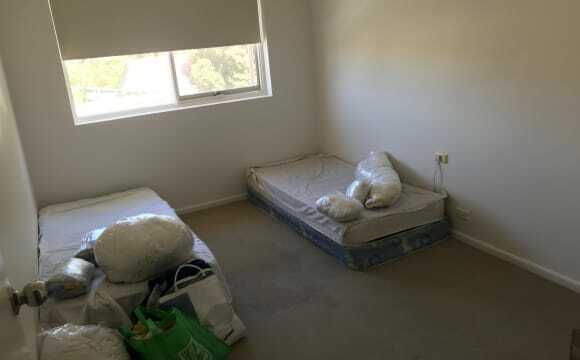 Looking for 1 person (one only ) to move in the Master bedroom after 27th April 2019. I'm looking for someone that works full time or study and works, clean after him and that is considered around the house. Rent is 165 per week and Bond is 4 weeks rent before moving in and bills such as Electricity / water and internet are split equally in 3 ways. Electricity bill comes every month an water and gas every3 months. Internet is unlimited and it's 60 dolls divided in 3 ways. We will have a rental agreement and if you decide to move out you can let me know with at least 1 month in advance. Rent is paid forthrightly. I'd like someone that is willing to stay for at least 3 months. Housemates are mid twenties early 30s. 1 Colombian guy and 1 Irish - working and studying full time. You will be sharing the Master Room with the Colombian Guy. Current tenants are usually working or travelling. They are very friendly and easy going so looking for someone who’s the same 🙂 Please SMS or email me a bit about yourself and we can arrange an inspection. plenty of Parking off the street available. 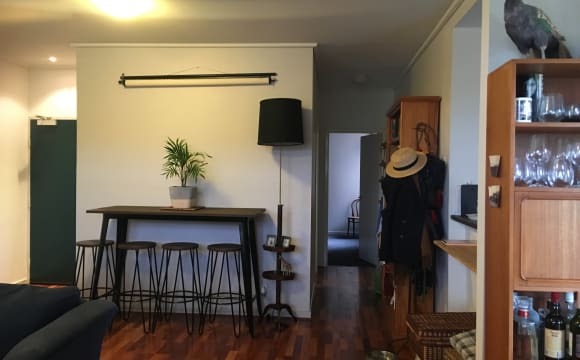 Rent : 125 plus Utilities Room type : Shared with existing female roommate Meal : Vegitarian meal can be provided at nominal rates Kitchen/Bathroom/Living room : Shared Flat Type : Furnished Only 350m away from tram 70 and 75 stops. 80m away from bus 624 stops. 1.3 k.m. from camberwell junction 500m from coles express 1.5km from Indian grocerry shops Preference : Vegetarian and female. This a clean house and it is close to Swinburne University, coles, woolworths, IGA, restaurants and trams stops. Great two-bedroom apartment in Hawthorn. Yeah! Ten minute walk from Glenferrie and Hawthorn train stations and Swinburne University. City bound tram stop (70 and 75 routes) half a minute away. Perfect for student or working professional. The apartment has washer, dryer and dishwasher. Reverse cycle heating and cooling. I'm a country kid though, so I try to avoid using it but it's there when needed :) There's a decent sized balcony with BBQ, seating and some herbs. There is also a gym within the apartment complex with some weight machines and free weights, rowing machine and stationary bikes - if that's your thing. Internet included in rent. Unlimited Broadband until the NBN finally rolls out this way. Equal split on utilities. Electricity/gas (gas cooktop) typically $250-$350 a quarter. This tends to be on the lower end of the spectrum with full time workers but either way I like to conserve where possible. Water usually $200 a quarter. The bedroom has a courtyard facing window with timber blinds, and built-in wardrobe (photo included). Furniture shown is basic ikea left by prior flatmate and can be utilised or stored elsewhere (there's a storage cage downstairs). About me: I'm in my early 30s. Work full time in government. I like watching sport, movies, studying or walking the dog on weekends. Relaxed social group (beers, wines, chats, sport). I have a few boardgames and a PS4 so this is definitely a ready-made retreat. This residence is within an apartment complex with some young families et al. so hangs are really low key. The dog is a rescue, house trained small horse-sized cat. Have had him for 3+ years. He gets along with everyone. Doesn't yap or bark or run around. Just loafs. He isn't self aware enough to notice but I've got a Dyson and a carpet shampooer so I can keep his personal debris to a minimum. If you've got any questions about him or anything else feel free to ask! Would consider longer/shorter leases for the right applicant/s. The room is available to be looked at from Saturday 27th April and to move in from Sunday 28th April. Close to all amenities: tram 70 and 75 are just outside the door to the city 30 minutes by tram to Flinder street station 10 minutes walk to Camberwell shopping center 15 minutes walking to Swinburne University, 10 minutes to Hawthorn-Melbourne English Language center on Auburn Road I am looking for a clean, tidy, and responsible person, preferably 20+yo. to share this unit with two other housemates Rent is $185/week including internet. Additional bills (electricity &amp; water) will be split equally when they arrive. The room already has spacious built in wardrobe with mirror, fully furnished with single bed, dresser, lamp desk, and office chair. 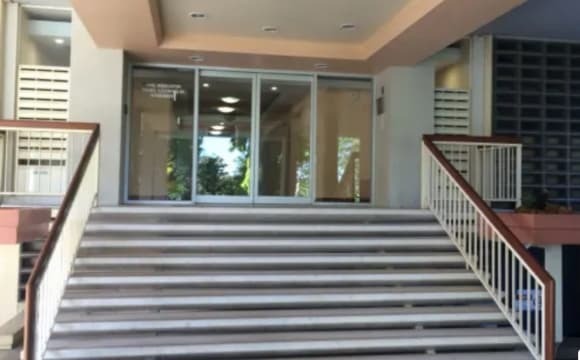 AVAILABLE 18May2019 Shared facilities: Washing machine Conventional Oven Microwave, Toaster, Boiler, consumable goods (paper towel, soap, etc) . Provided Internet is unlimited ADSL2 The unit: has 3 bedrooms, spacious kitchen area with dining table, 1 bathroom, 1 toilet, no living room. NOTE: We do not take room sharing. Text me if you are interested &amp; Let me know a little bit of your background,gender, and the date you intend to move in. cheers! Few steps to tram stop( 70 &amp; 75 ) and close to Swinburne university and close to glenferrie and auburn station. All the shops and banks near by. If anyone studying in Swinburne or Deakin this a really nice place to stay. Hi there! I have an available room to share! - A flat at good location (Hawthorn Vic 3122): Very convenient to live or study. 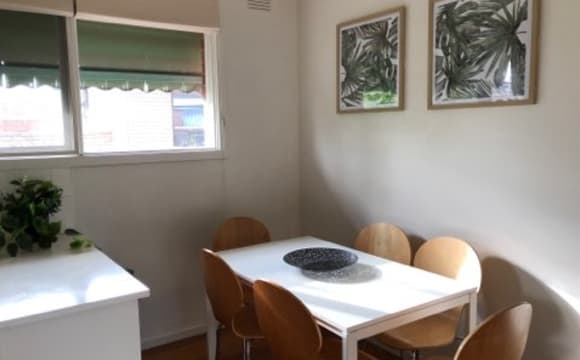 Near Glenferie Station/ Swinburne University of Technology (7minutes walking), tram 16, 75 and 70 to City/Kew before/very close the property. Next to arrays of restaurants, shops, IGA, near Hawthorn swimming pool, Ledo cinema, Coles, Safeway (few minutes walking). - Beautiful flat with new and pretty furniture. The room has own balcony. - 1 slot of parking off the street. 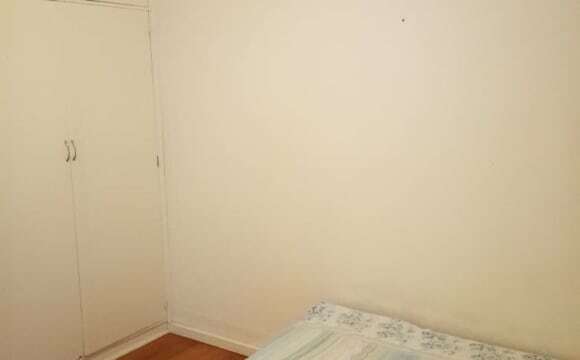 - Good location: Very convenient to live or study. 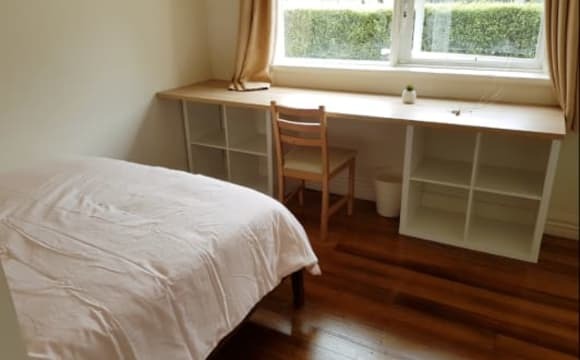 Near Glenferie Station/ Swinburne University of Technology (7minutes walking), tram 16, 75 to City/Kew before the property. Very close to arrays of restaurants, shops, Hawthorn swimming pool, Ledo cinema, Coles, Safeway (few minutes walking). - Beautiful flat with new and pretty furniture.